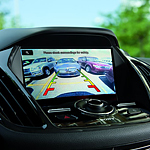 A strategically positioned rear view camera makes backing up safer. 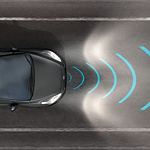 Drivers immediately see what obstacles may be behind them and apply the brakes before a collision occurs. It is not unusual for vehicles to creep up into your blind spot when driving on the highway.